As someone who wears makes up on daily basis I have tested a few solid cleansing balms and this review is my opinion based on my skin type and needs. Following the previous post on double cleansing, I decided to highlight some of the solid cleansing balms I have used in the past and the pros and cons of each. The following are a great first step in the double cleansing process. 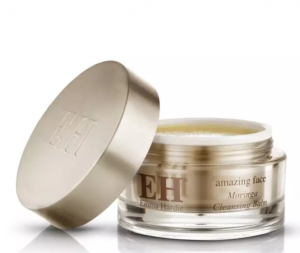 This is a solid cleansing balm which melts into an oil once applied to the skin. It has a whitish almost transparent appearance and easy to scoop out with your fingers it ‘’gives’’ easily. It also comes in a good-sized, attractive pot which makes it easy to transport with zero possibility of spillage. Apply on dry skin massaging in circles to emulsify all the makeup then rinse off with water. The key selling point for me is that you ONLY need water to rinse it off no flannel needed. It is great for sensitive skin as it has no scent additional products which might cause allergy. For me this is the absolute holy grail of makeup removers it takes off everything, mascara, liquid lipstick, foundation, it all comes off. This is another solid cleansing balm which melts into an oil when applied to the skin. It has a cream opaque colour also comes in a good-sized pot which allows for easy transportation and zero chances of spillage as well. This is not as easy to scoop with your fingers it is a bit ‘’harder’’ to the touch. The balm used in the same way as Clinique take the day off balm, massaged onto dry skin but removed with a damp flannel cloth. It is a heavy balm and not as easy to massage onto the facial skin as the Clinique balm, it also has a gritty consistency leaves a film on the skin even after a flannel is used. This balm is regarded as a cult beauty favourite which melts into an oil when applied to the skin. It has a light yellow colour with a great scent which makes for a spa-like an experience when it is used. It is easy to scoop out with your fingers and comes in a very luxe looking container which unfortunately is not of the best quality, as the lid broke before I finished the pot. The balm is used in the same way as the Clinique balm massaged onto dry skin rinsed off with water and then taken off with a damp flannel. Despite its cult status this, not a balm I enjoyed using, it was gritty when applied to the skin and pretty heavy on the skin. 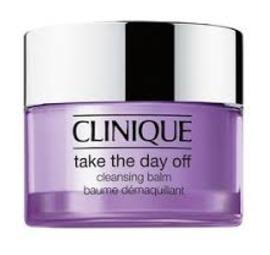 From my perspective of the three balms, Clinique take the day off is the clear winner in this category, it is the most affordable, most effective and easiest to use. In addition, also has a smaller sized container which makes it more portable for travel. 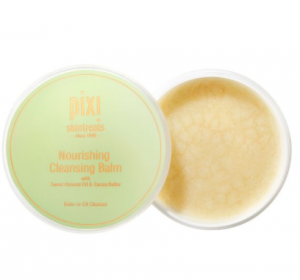 The second would be Emma Hardie Moringa balm despite its quite extortionate price and the product I would not repurchase is the PIXI nourishing balm.